SAN DIEGO, CA -- Termites cause billions of dollars worth of damage to structures annually. To avoid this destruction to their houses and their wallets, homeowners are choosing to voluntarily infest their homes with ants as a form of termite control. Ants are termites' mortal enemy but do not cause the same structural damage and are easier to control. Though still being researched, some homeowners are considering this termite control option. The first item that must be assessed before using ants for termite control is whether the infestation is in fact termites or ants. It is easy to mistake the two because they have many similar features and both swarm. Ants have three distinct body segments, where termites have two segments. The antennae are also different. The termite antennae are long and straight but the ant's are bent at a 90 degree angle in the middle. Because the two bugs are mortal enemies, they usually do not inhabit the same space and will usually have massive conflicts. The ants are typically stronger and win the space, driving out the termites. As such, some termite control professionals are interested in using this means of extermination. Although this means the introduction of another pest, an ant will not cause the expensive structural damage that a termite does. This concept is still in experimental stages but initial tests have been promising. It will likely be several more years before the practice is used widely. Homeowners should talk to a professional pest control specialist about the options available before making a final decision. 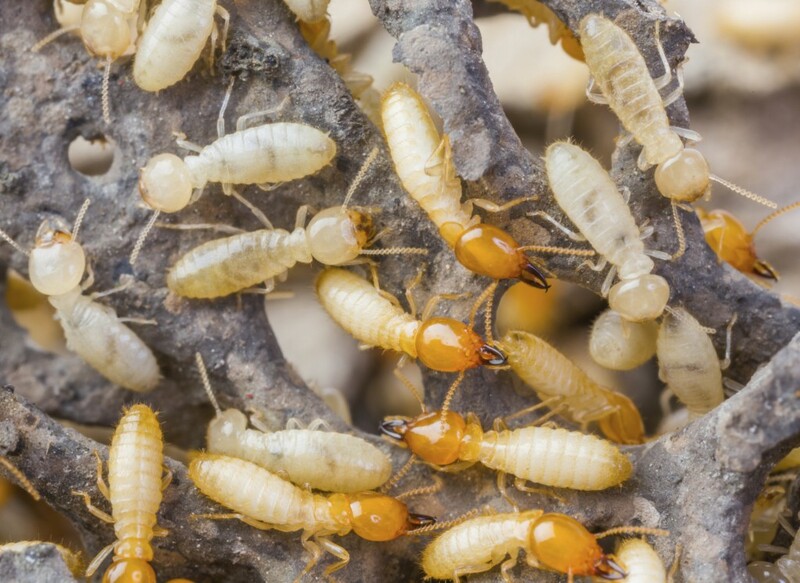 If you suspect a termite infestation, be sure to contact a termite control professional immediately. The financial cost of waiting could be devastating.